Like Mexican and Mediterranean food and don’t want to choose? 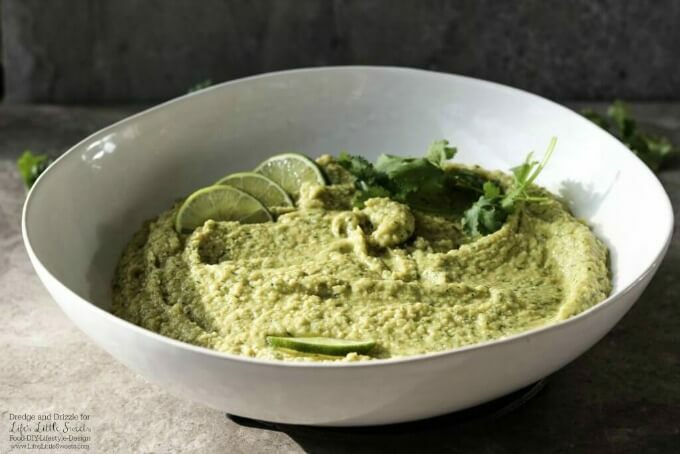 This Cilantro Lime Hummus may seem like an unlikely combination at first, but one taste and you’ll be sold! I was a very spoiled foodie when I lived in Indianapolis. There were a lot of great places to eat with a lot of variety, no matter which part of town you were in. Cajun, Mexican, German, it was all delicious. When I moved to Jacksonville, I had a hard time finding places I liked. It took me a few months to figure it out, but what I found was that Jacksonville has a really great food truck scene. I started a food truck group at work and we tried to hit a truck at least once a week. My favorite by far is the Fusion Food Truck. True to its name, it fuses Indian, Thai, and Mediterranean cuisines. 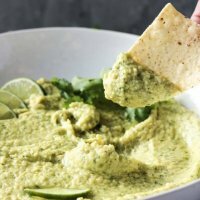 Their Cilantro Lime Hummus inspired me to create my own version. A few things: If you want a creamier hummus, you can take the time to peel the membranes off the garbanzo beans. I know it’s time-consuming but it really does make a difference. I don’t do it every time, and it’s totally optional. Also, when I get the Cilantro Lime Hummus from the food truck, they serve it with pita bread. I usually use tortilla chips when I make my own. That’s the beauty of fusing cuisines, so much variety! 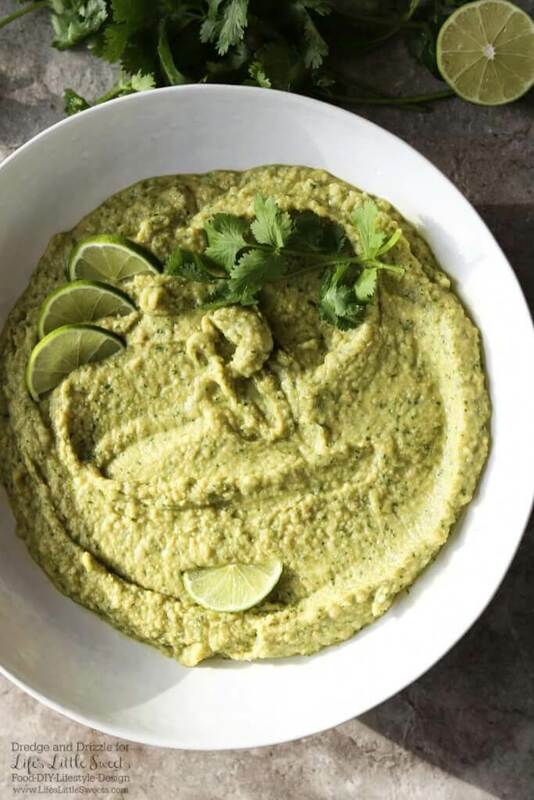 Let me know how you served your Cilantro Lime Hummus! Add all ingredients to food processor and blend to desired consistency. 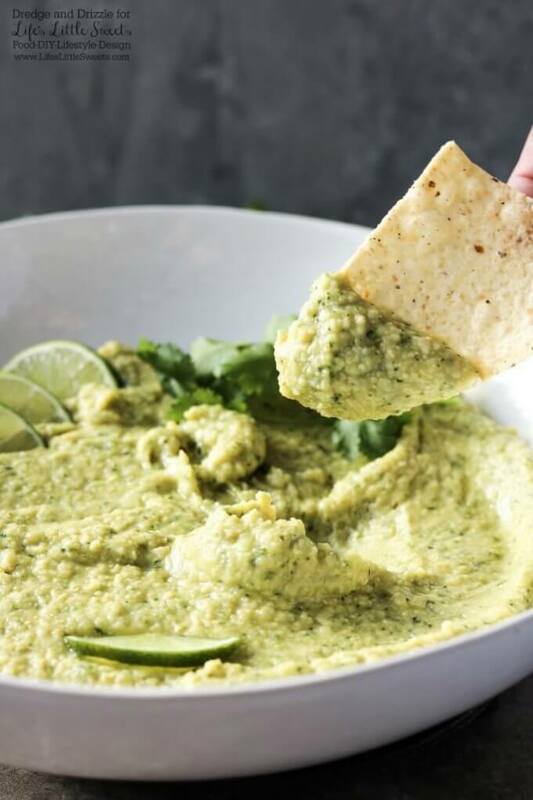 Chill for at least an hour before serving with pita bread or tortilla chips. For a creamier hummus, peel membranes off of garbanzo beans. 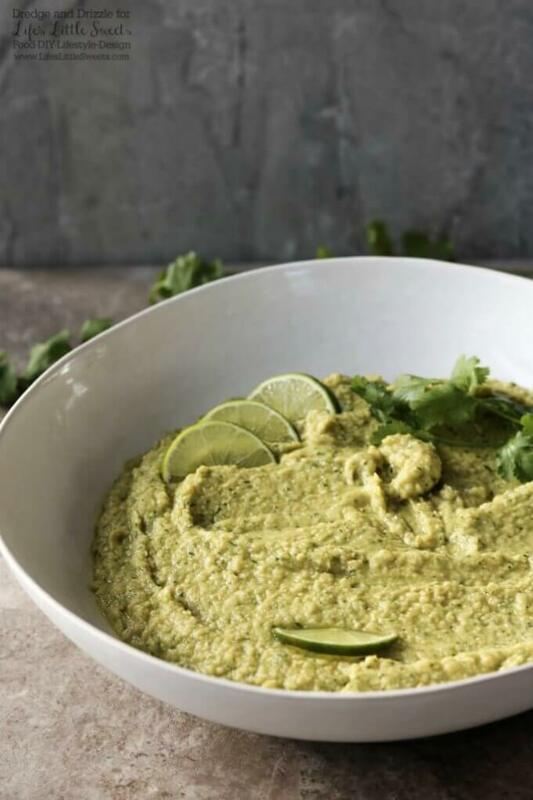 What’s your favorite flavor of hummus? Please let me know in the comments below!